1. Cut 5 small felt petals as shown. 2. 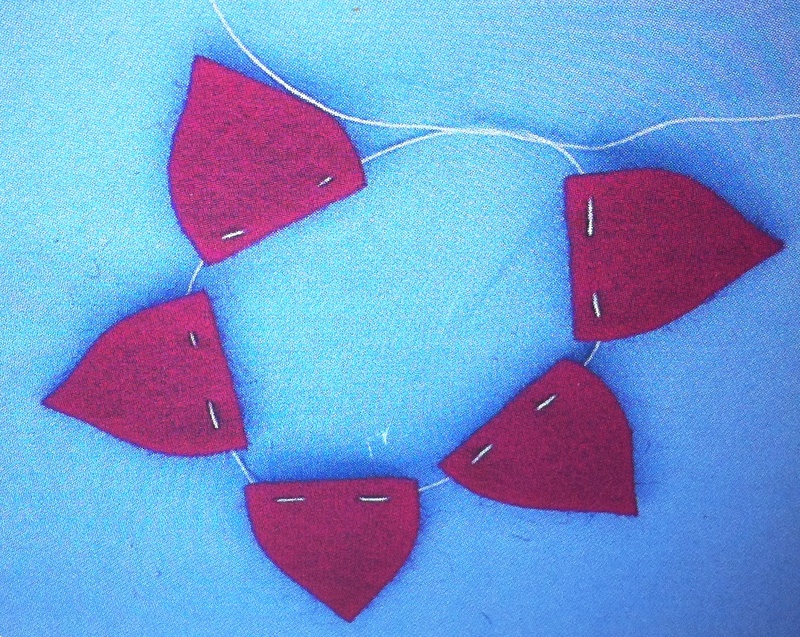 Sew a running stitch through the bottom edge of each petal. 3. Tie the thread ends in a half-knot and pull tight, bringing the petals together and tie again to knot. 4. Sew a small button in the center of the flower! I thought the best way to present the flowers was in this small shadow box, again courtesy of Martha Stewart. Unfortunately, I don't think these boxes are available anymore, but I think this could also work on a small frame, just take out the glass.